For your business to succeed, you have to spend money on business expenses. However, tracking spending and keeping it under control is vital. Without good control measures in place, your business may suffer significant losses through waste and fraud. Simplifying your business’s spending can help you to manage your expenses so that you can protect the bottom line. One way to keep your spending under control is with online prepaid debit cards. What is an online prepaid credit card, and how does it work? An online prepaid card is not the same as an online debit card. It’s just called a prepaid card because it is funded with your money and not connected to a bank account. The online part of the name simply refers to the manner in which people apply for the cards because the process is completed on the internet. People might refer to these cards as a prepaid credit card. Cards that are prepaid are not credit cards. Online prepaid credit cards offer multiple benefits for business owners. After you fund your account, you can allocate how much money to place on each card. You are able to select spending categories for each card. Setting the allowed types of spending that can be completed on each card helps to prevent your employees from making purchases that are not allowed. You can choose different categories for each employee. For instance, an employee who needs to be able to order office supplies can be limited to only making those types of purchases with his or her card. If he or she attempts to purchase something else, it will be declined. This can help you to have transaction-level control over the spending that happens at your business so that you can eliminate waste and fraud. Who is best suited to use a prepaid credit card? Online prepaid debit cards are ideal for small business owners. Many small businesses are the victims of internal thefts every year. 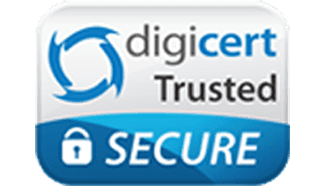 Since you are able to see what is being spent at all times by logging into your convenient dashboard by each employee, you will immediately know if anyone attempts to make purchases that you have not approved. Some cards give you the power to turn off a card whenever you want by clicking or tapping a button on your mobile device, and you can access your dashboard from anywhere, 24 hours per day. When you hire new employees, you can turn on their access to their cards immediately from your dashboard. When an employee leaves, you are able to turn his or her card off instantly so that you do not need to worry about any potential issues that might arise when you try to retrieve his or her card. 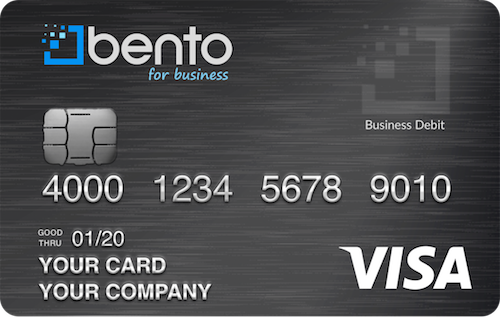 Bento for Business’s business Visa debit cards have excellent spending controls and are designed for small businesses. The information from these cards is easily exportable to your bookkeeping software so that you always know where your business stands. To learn more, sign up for our free 60 day trial or contact Bento for Business today by calling us at 866.220.8455. Corporate prepaid cards vs. corporate debit cards: What is the difference?